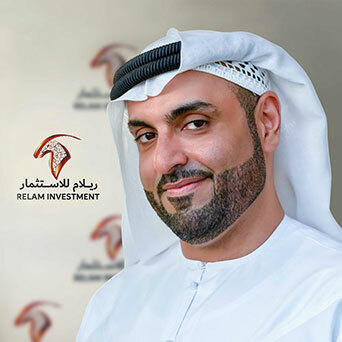 Sultan Ali Lootah (Chairman and Managing Director -Relam Investments). A business-oriented entrepreneur carrying an MBA in Strategic Management along with experience in both public and private sector Lootah was able to move towards establishing various business such as vault Investments, vault & Partners and Vault Management Consultants. Looking towards new markets Lootah Decided to move internationally and focus on emerging Asian new market, where Vietnam & India came as a point of interest and after a productive communication with large Vietnamese business officials, Relam Investment was established as a partnership between vault investments and Vietnamese high-level businessmen. Sultan A. Lootah is an entrepreneur whom vision falls in moving towards facing challenges and creates opportunities out of it. Coming from a family whom are business oriented, along with his long experience in both public and private sector Lootah was able to move towards establishing various business starting with Your Guide Marketing Company in 2009 followed by Fourth Dimension IT Company to them move a level up by establishing vault Investments in the year 2012, acting as the investment arm for all investments opportunities within the companies or the family business. Vault Investments expanded in the business where Lootah the chairman of the board and the managing partner entered various business sectors by establishing Vault Smart IT Solutions, sultan Lootah petroleum trading company, vault Management Consultants and Vault Real-estate. Lootah occupied the role of the Chief Executive Officer in the Mohammed bin Rashid Al Maktoum Foundation, until July of 2014. On 2015 Lootah was chosen by the Korean government to be the honorary ambassador for investment. Later Lootah formed along with Norwegian business men a Norway - UAE chamber of commerce. Lootah brought to the Foundation a rich experience and outstanding competency in developing innovative and goal-oriented solutions. His exceptional leadership qualities and acumen for critical thinking made him an obvious choice to lead the Foundation’s initiatives that aim to combat unemployment in the Arab world. Lootah was responsible for overseeing the conceptualization and implementation of programmes that drive employment opportunities and entrepreneurial activities across the region. Prior to joining the Foundation, Lootah served as Director of Projects at The Executive Office (TEO) in Dubai, where he led the development and implementation of key initiatives for consolidating the emirate’s status as a global economic force. As the Director of Information Technology in the Dubai Department of Economic Development (DED), Lootah played a key role in formulating the department’s strategy and bolstering its overall efficiency. Projects that he spearheaded at DED included Tawtheeq, an electronic processing system that helped the department achieve its goals and objectives. In 2005, Lootah led the upgrading of DED’s IT infrastructure and introduced Infotech, the region’s first portable trade license application specifically designed for the department’s end-users.